Rock Spring Dental is different from all of the others. We are very family friendly and we want to remind everyone; including our children, about oral health. Tooth decay (cavities) is by far the single most common childhood disease and hundreds of thousands of children go untreated every year. Together, we all can change this. We strive to improve oral health care. 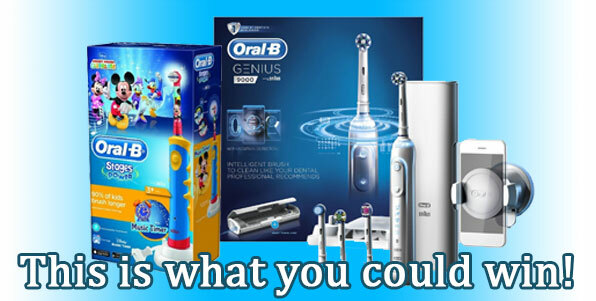 We will be giving away one free OralB Genius kit for adults, and one kit for children. All patients can be entered to win this OralB Genius kit every month. You can win the Adult version or the Children’s version! Fill out and submit the form below to enter. Once you submit the form you (or child) are automatically added into our monthly raffle. We look forward to your raffle entry! Fill out our registration form below! Any Questions Or Comments To Add? We pride ourselves with our professionalism and friendly staff. Our reviews speak for themselves! View them below.